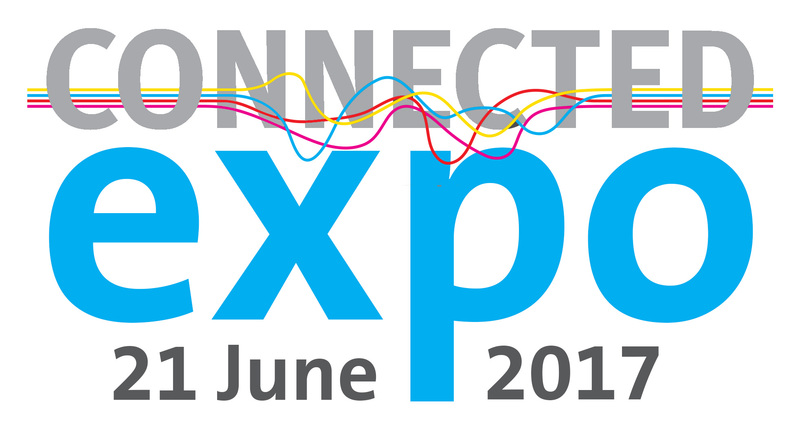 Connected Distribution, the go-to distributor for custom installation and hi-fi brands, is holding its ‘Expo 2017’ product showcase event on 21 June at the Best Western Moat House Hotel, Reading, with many new products on show and guest speakers from around the world. Starting at 10.30am and running through the day, the Expo will feature product and technology teach-ins, hands-on product sessions and displays of products from across the company’s portfolio. Brands featured: Pulse-Eight, Russound, Cabasse, Parasound, Krika, Atlantic Technology, Earthquake, Sanus and Yamaha. There will be presentations from a number of brands, including an introduction to the new Pulse-Eight neo:8, with its Amazon Alexa voice control and revolutionary CEC control of Sky boxes. The event will present an opportunity for installers to see new products from a number of suppliers, such as subwoofers and cinema speakers from Earthquake, 70V line products from Russound, the Krika remote devices tracker and a preview of the 2017 Yamaha AVRs. Representatives will be present from a number of suppliers, including: from France, Gohar Gabrielyan of Cabasse and Bruno Napoli of Krika. From Russound in the USA, Pete Baker and from the UK, Dean Carroll of Sanus, Roy Leggett from Pulse Eight and Martin Torbuck of Yamaha. Additionally, Connected Distribution will be introducing some exclusive offers for all Expo attendees across its product lines, making the trip to Reading worthwhile financially as well as educationally. Attendance at the Expo is free of charge and open to any installers, specifiers and retailers, whether customers of Connected Distribution or not. 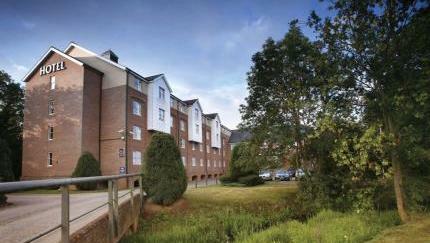 21st June at the Best Western Moat House Hotel, Reading. 10.30am - 3.30pm. Join us to learn about the latest products and technologies from our major brands and see how they can help you with your installations. We'll have hands-on product sessions, technology teach-ins and representatives from some of our supplier partners will be on hand, bringing you their very latest news and helping you with any specific queries you may have. The Best Western Moat House, Reading, RG41 5DG is conveniently located just off the A329(M), So this should make travel easy from all across the south of England (or further afield too). Connected Distribution, the exclusive Russound UK distributor, is delighted to announce it has been awarded the Russound “Distributor of the Year” accolade and “RCI Partner of the Year” during the recent ISE Show in Amsterdam. Announced at the annual Partner Reception event, Charlie Porritt, Russound’s CEO, presented awards to the company’s partners, culminating in the “Distributor of the Year” award handed to Mike Bonnette, product director at Connected Distribution. The award recognised the phenomenal growth achieved across all product categories by Connected Distribution during 2015. The company was also honoured for its implementation of the Russound Certified Installer (RCI) programme. This initiative is designed to ensure consumers receive the benefits of working with certified installation professionals and, at the same time, drastically reducing unauthorised online and grey import sales of its products. Products are shipped “locked”, requiring a certified Russound installation professional to unlock them. Connected Distribution has worked with a considerable number of its customers to ensure they are properly trained, which was recognised with the “RCI Partner of the Year” award. Connected Distribution, the Russound UK distributor, is introducing the XZone70V Streaming Audio Amplifier to give installers a powerful product for building business in the light commercial sector. The first Russound 70v model to be launched, the XZone70V Streaming Audio Amplifier is a high resolution digital media streaming source that enables very long run and multiple speaker installations for commercial environments. Incorporating the company’s XStream technology, the XZone70V provides streaming audio content from the cloud via vTuner, TuneIn and Spotify, from a local network and Apple AirPlay™ devices. Its powerful 70v/100v amplifier provides up to 300 watts of power in a single 1U chassis, making it the perfect solution for commercial installations. Additional sources can be connected via a rear mounted USB socket for use with a flash drive or external hard drive, and a 3.5mm input jack gives the flexibility to add any other local source to the system. Essential for commercial installations is the integrated microphone input that automatically senses a signal and pauses the audio stream for paging through the system. Condenser microphone support is easily accessed with a sliding switch on the rear panel, in addition to a mic gain control for easy adjustment of the audio level, and a front panel mic volume level that gives users access to increase speech volume as the environment dictates. Overcoming the known limitations of 70v line systems, namely the potential for saturation of even the best speaker transformers, and hence distortion, when running low frequencies through them, the XZone70 incorporates a dedicated high pass filter to block these signals. When used in the optional 4-ohm mode, with traditional loudspeakers, the high pass filter is switched out of the circuit to permit the full frequency range to reach the speakers. Russound has also produced a number of dedicated 70v accessories for use with the XZone70V, including the all-weather AW70V6 speakers and a 50W 70V volume control, which can be used at each speaker location for individual adjustment of level. Connected Distribution, the Russound UK distributor, is now shipping the A2100 digital amplifier to add high quality, high powered, stereo amplification to any audio system. Compact in form, but boasting 100w per channel, the A2100 is perfect for adding extra power where needed, or to facilitate the use of additional speakers for large rooms or outdoor zones. The space-saving half-rack size design allows for an easy fit in any equipment rack, and with its installer-friendly integration features, such as signal-sensing power on, the A2100 blends seamlessly into any system and activates automatically with the other devices as needed. Designed to be stable to 4-ohms, the A2100 can safely be used with two pairs of 8-ohm speakers, or it can be bridged into mono mode with 225 watts output (8-ohm). Buffered line outputs enable multiple A2100 amplifiers to be daisy-chained, permitting almost limitless extension of the audio chain. Flexibility of installation, through numerous connection permutations, makes the A2100 the perfect add-on amplifier for use with multi-room systems. For example, used with a Russound MCA-88X controller amplifier, a single A2100 can power one of the two line level zone outputs of the MCA-88X, with another two A2100s working in bridged mode to power larger speakers in another line level zone. Fine-tuning of the output volume can be adjusted using the rear panel gain control to match the volume to the other speakers in the room. As a specialist custom installation amplifier, the A2100 features several power-on options - always on, signal-sensing or 12v trigger – to enable it to be integrated into many different scenarios. In always on mode, the A2100 uses just 0.5 watts of power. A 12v trigger output can also be used to control other devices, such as the additional daisy-chained or bridged A2100s. A comprehensive mounting kit is included in the box, which permits single or double unit rack mounting of the 1U high enclosure, or the rack brackets can be used to wall mount the product. Cabasse introduces the Stream BAR. A soundbar that streams! Connected Distribution, exclusive UK distributor for French loudspeaker experts, Cabasse, is introducing the Stream BAR to UK consumers, bringing them better quality TV sound and a world of streaming audio with multi-room capabilities. The latest product in Cabasse’s acclaimed Stream range, the Stream BAR packs a punch considerably above its weight. With two purposely developed tweeters, four mid/bass units all driven by three-way active amplification with an included 100-watt wireless subwoofer, the high fidelity and power produced is perfect for home cinema and high-resolution audio reproduction. Connection to the TV is simply made by using the dedicated HDMI Connection. The Stream BAR uses the Audio Return Channel (ARC) functionality for sound and for easy control. This allows the TV remote to be used to select sources connected to the TV and control the volume. The HDMI input can be used to connect a source to the BAR, with video passed to the TV via its HDMI output. The Stream BAR also features four digital audio connections: Bluetooth AptX for streaming from phones and tablets, WiFi and Ethernet for internet streaming and network audio, USB for local drives and a Dolby Digital Optical S/PDIF input for TV’s or other peripherals. A 3.5mm analogue stereo jack input allows for connection of a portable music player. In these instances the supplied remote control (or dedicated Cabasse AWOX App) is used to select the source. When connected via ethernet or WiFi to the router, Stream BAR gives instant access to all the music stored on the network, to internet radio stations, and audio streaming from Deezer, Qobuz, Spotify and Tidal. Control is via the intuitive Stream CONTROL app for iOS and Android. The USB connection provides direct access to music stored on a stick or a hard drive to play it on the BAR, or on any Stream device in the home network using the built in DLNA server engine. Despite its compact size, the output from the Stream BAR is impressive. Cabasse’s engineers have designed sophisticated sound processing, which offers breathtaking 3D effects while preserving the integrity of timbres and the natural sound of voices. Low frequency information is produced by the wireless subwoofer, which connects automatically the first time the system is powered up. The Stream BAR has a UK retail price of £899 and will be available early September. Connected Distribution, the exclusive Russound UK distributor, is now shipping the XZone4 Four-Stream, Four-Zone Audio System, designed to offer Russound installers a single-box package featuring simple browser-based configuration with a smartphone, tablet or laptop. The XZone4 is a 1U rack-mountable component offering four independent audio streams that support up to four rooms of audio in a home or business, and can scale up to 16 total audio zones by linking up one or more of the other XStream series products. Russound is one of the few brands in the custom installation channel that builds Apple AirPlay support into all its streaming products and the XZone 4 includes an independent AirPlay stream to each zone. The new model is part of the company’s expandable XStream series, engineered specifically for custom installation professionals and their clients, who want simple integration and scalability. It works with the MyRussound App for iOS/Android phones and tablets and is also fully compatible with the XTS wall-mounted touchscreen interface, allowing control of up to 16 stereo audio zones in a single installation using any combination of XStream series audio products. In keeping with other advanced Russound products, XZone4 is included in the Russound Certified Installer (RCI) Programme. “RCI Required” models boast a recently introduced feature designed to drastically reduce unauthorised online sales of the company’s products while ensuring that consumers receive the benefits of working with certified installation professionals. To date, more than 5,000 Russound installers have taken part in the program, including many in the UK. Connected Distribution introduces the Cabasse Murano, the smallest full range speaker in its Artis high-end series. It benefits from innovations initially developed for the reference La Sphère: the co-axial midrange tweeter and specific technologies incorporated in the design of the woofer, combined together to generate the best possible sound quality and performance for a speaker of its size. The honeycomb dome membrane, borrowed from La Sphère’s woofer, and the powerful long throw motor system enable the 17 cm woofer of Murano to provide clean and deep low frequencies. With 1000W peak power handling, any type of music will be sublime with a pair Muranos, whether listening at low or high levels, in a small or large room. Furthermore, guided by a long voice coil in the 45mm deep air gap of a 4-kilogram oversized motor, the driver gives the bass incredible purity and strength, unexpected from such a small device. The BC13 co-axial midrange-tweeter is developed from the three-way TC23 which is fitted to the flagships La Sphère and L’Océan. BC13 guarantees a faithful straightforward tonal balance without any auditory strain, for a deep and incredibly realistic soundstage. The new speaker comes fitted with a new aluminium wave-guide specifically designed for optimal sound output. Connected Distribution will use the Essential Install Live Show to unveil the latest from its portfolio of class leading multi-room products from Atlantic Technology, Cabasse, Parasound, Pulse-Eight and Russound. Atlantic Technology is one of the leading producers of high performance loudspeakers specifically designed for use in home theatres. On display will be three new products, including the IC-6 OBA speaker, developed for use with Dolby Atmos®, Auro 3D® and DTS:X® surround systems. For THX certified theatres, Atlantic has introduced the IW-155 LCR, which, with its THX Ultra 2 certification and compact form factor, enables top-level performance in smaller environments to be achieved. The LCR3 is a compact wall mounted speaker for use horizontally or vertically in surround systems that packs a punch far greater than its size would suggest . Cabasse is one of the world’s most respected manufacturers of loudspeakers and streaming products, with over 60 years experience at the forefront of technical and acoustic innovation, perfecting the design of point source coaxial drive units and digital signal processing. Connected Distribution will be demonstrating the Stream AMP and Surf loudspeakers – a compact all in one audio system that allows access to all the major streaming services and also functions as a multi-room audio system. On display will be a selection of the company’s custom installation speakers, including the three-way coaxial Minorca IW and examples of Cabasse’s famous spherical loudspeakers, the Eole 3 and iO2. Bringing the American muscle to the show is the Parasound range of high performance electronics – the choice of the major movie production studios. The San Francisco company manufactures a comprehensive range of preamplifiers, power amps, DACs, multi-channel and multi-zone amps for custom installation use. Connected Distribution will be focusing the attention on the new range of Zonemaster amplifiers which offer two, four, six or 12 channels of high quality amplification, perfect for the custom installer. Pulse-Eight, UK based manufacturer of HD video products, will be demonstrating the new neo:4 Professional HD matrix switcher with its HDCP2.2, HDMI2.0a and Ultra HD Premium compatibility for use with HDR sources and TVs. Exclusive to Pulse-Eight is the intelligent use of CEC (Consumer Electronics Control), inherent within modern HDMI equipped products for selection, routing and control of connected sources using just the standard TV remote. The rest of the comprehensive Pulse-Eight range will also be on display. Russound is constantly innovating and this year has introduced a number of streaming products into its range of class-leading distributed audio solutions. The top-of-the-range MCA-88X, with built-in streamer, will be joined by the recently released XSource single streamer device - the perfect add on for legacy systems or as a streaming module for new installations. And the show will feature the UK debut of the XZone4 four-stream, four-zone audio system, a complete streaming media solution that gives Russound installers a single-box package that is easy to install via a simple browser based configuration, using a smartphone, tablet or laptop. Connected Distribution, exclusive UK distributor for Pulse-Eight in the custom installation channel, is introducing the neo: 4 Professional HD matrix switcher with HDCP2.2 and HDMI2.0a and Ultra HD Premium compatibility for use with 4K 4:2:2 colour space HDR sources and TVs. Pulse-Eight’s matrix switchers are designed with leading edge feature sets, ease of installation and simplicity of use. The neo: 4 Professional features four HDMI inputs and four HDBaseT Class B outputs with two mirrored HDMI outputs, for distribution of 4K HDR video signals up to 40m using HDBaseT and 70m for HD video. Its dynamically generated EDIDs ensure the best video quality for every connected TV and intelligent use of CEC (Consumer Electronics Control), inherent within modern HDMI equipped products, permits selection, routing and control of connected sources via the standard TV remote. The CEC also enables the TV remote to control the volume on the AV amplifier, with a graphical representation on the TV screen. If the source itself does not support CEC, the matrix will still route the video as required and pass back IR signals to the source. For Sky users “Instant On” is another simplicity feature, pressing the Sky button in any room will turn the TV on and switch the video path to the Sky+ HD box. If there is more than one Sky box connected to the neo it will intelligently detect which Sky+ HD box is not in use and route this to the TV in the room. Instant On and the routing feature can also be configured to work with other media receivers. Pulse-Eight has developed a comprehensive web based control interface for its range of matrix switchers, which allows simple drag and drop of source selection and routing. The latest version of the interface is further enhanced with a virtual IR remote handset, which can be pulled up on the screen of the tablet/phone/laptop to complement or offer an alternative to using the TV remote. It is also possible to control the neo matrix switchers via many of the popular third party control systems, such as Control 4, Elan g!, Crestron or RTI. Pulse-Eight has worked to overcome the historic frustration, for customers and installers alike, of time consuming and expensive site visits to fix simple issues by developing a remote monitoring service. The installer can check the performance of the system, diagnose problems that may be occurring and fix many issues remotely. All neo Professional matrix switchers automatically stay in contact with a cloud based system management service, sending status updates hourly. The free-of-charge service automatically alerts both Pulse-Eight and Connected Distribution if the system senses the neo has a problem, so a fix or hardware replacement can be arranged. Connected Distribution, UK distributor for Cabasse, is pleased to introduce the Stream BASE, a compact unit that sits beneath the screento provide high-fidelity TV sound reproduction and is the only sound base with built-in streaming from online services and network drives. Audio pioneer, Cabasse, which has been at the forefront of active multi-way hi-fi and pro loudspeaker systems for 60 years, has designed a four-way per channel stereo solution for the Stream BASE. Active filtering technology ensures a spectacular sound quality by individually controlling the dome tweeter, the midrange and the low-midrange units of each channel. A dedicated low frequency channel, fitted with a long throw 13cm woofer firing downwards at 360°, brings substance and realism to the sound effects. The full emotions of the user’s favourite films are enhanced with the Cabasse holographic sound processing, which enlarges the width and the depth of the sound stage, while dialogue remains clear and effects keep remain forceful. Every tone in the spectrum is rendered with accuracy, from high shrills to rumbling bass, for a spectacular show of sound that immerses the viewer in a rich 3D cinema experience in the comfort of the living room. In keeping with the other models in the comprehensive Cabasse Stream range, when connected to a home network Stream BASE gives instant access to all of the music stored on the network, to thousands of internet radio stations and to audio streaming from Deezer, Qobuz, Spotify and Tidal. The USB port gives direct access to music stored on USB sticks or hard drives, plays it on the Stream BASE and shares it with any streaming device in your home network, thanks to the built in DLNA server technology. The Bluetooth Aptx function provides an easy and strong connection for smartphones and tablets. Connection to the TV is via optical or S/PDIF and is Dolby Digital compatible. The USB input and Bluetooth AptX inputs enable external digital sources to be connected and Stream BASE is also equipped with an analogue 3.5mm stereo mini-jack input. Files in a large variety of formats can be played back, including WAV, AIFF, ALAC, FLAC and MP3 and the Stream BASE can reproduce high-resolution audio up to 24bit/96kHz. The Multi-Room Company Ltd. has today announced it has rebranded as Connected Distribution Ltd., unveiling a new brand identity and adopting “Solutions for Home Technology Professionals” as its strapline. The new identity created to support the company’s rebrand and modernisation is an important visual reinforcement of the business’ core skills, values and products. It represents the connection between the Supplier Partners, Connected Distribution and the Customer Partners and underlines, through the use of the coloured lines, the connection via cables the products require. Three of the four colours represent a different channel that the company operates in: custom installation (red), home cinema (pink), hi-fi (blue). The yellow will be used on corporate communications to represent the whole company. The Multi-Room Company, as exclusive UK distributor for the custom installation channel, introduces the state-of-the-art Pulse-Eight neo range of HD matrix switchers, to bring robust, seamless and simple routing and control of multiple HD and Ultra HD video sources. Pulse-Eight has invested its considerable expertise in developing a "just works" solution to make the installer’s and end-user’s interaction with the products painless. With dynamically generated EDIDs (to ensure the best video quality for every TV), CEC based control, right through to handling software updates for the HDBaseT link, the goal was simple: to provide the best possible video distribution system available. Simplicity of operation was at the core of the designers’ thinking as they felt existing matrix switchers were far too complicated for end-users and installers to operate. Historically switchers have required either a programmed control system, which is inflexible if equipment changes are made, or a remote control with up to 16 buttons for a 4x4 matrix to cover the 16 combinations of source and room. The end-user focused approach from Pulse-Eight reduces the number of buttons to four, one for each input, as the matrix features Contextual IR to identify from which room the remote is being used. The ease of operation has been taken a stage further by enabling source selection and control to be managed using a standard TV remote control, a device all consumers are thoroughly familiar with. Through intelligent use of the CEC (Consumer Electronics Control), inherent within modern HDMI equipped products, the neo range of matrix switchers provides source selection at the push of the ‘source’ button and control of its functions using the TV remote. If the source itself does not support CEC, the matrix will still route the video as required and pass back IR signals to the source. The intelligent use of CEC also enables the TV remote to control the volume on the AV amplifier, with a graphical representation on the TV screen. Again in keeping with the mission to make things simple, the neo web interface provides very simple drag and drop selection of sources to TVs. This responsive web app automatically resizes and configures itself whether used on a phone, tablet or laptop. Of course it is also possible to control the neo matrix switchers via many of the popular third party control systems, such as Control 4, Elan g!, Crestron or RTI. For the installer, one of the most costly and frustrating occurrences is being called back to site to problem solve. All neo Professional matrix switchers automatically stay in contact with a cloud based system management service. A LED on the front of the matrix shows that the monitoring process is functioning and, if necessary, the installer can login to the device and see helpful diagnosis information and fix many problems remotely. This service is provided free of charge and if the system senses the neo has a problem, The Multi-Room Company and/or Pulse-Eight is alerted so a fix or hardware replacement can be arranged. All neo matrix switchers are compatible with Ultra HD 4K, 1080p and 3D content.The fixed format neo:4 Professional 4x4 matrix features four HDMI inputs and four HDBaseT Class B outputs with two mirrored HDMI outputs. Four power over Ethernet HDBaseT receivers are included, as is bi-directional IR and bi-directional CEC control. The neo:6 Modular and neo:8 Modular are solutions which enable up to 8 input and 8 output modules to be used in a variety of configurations such as HDMI 2.0a and both HDBaseT Lite (Class B) and full HDBaseT (Class A) capability for 70m and 100m cable runs respectively. The larger products also feature the latest HDCP 2.2 specification, support bi-directional RS232/serial for routing/sending control signals to displays or AV Receivers (via the Pro Rx receivers) and, being full HDBaseT, natively support Ethernet connectivity (10/100 Ethernet pass through). The Multi-Room Company, exclusive distributor for several top custom installation and hi-fi brands, is pleased to announce that its 2016 Expo event will take place on 3rd February at the Best Western Moat House Hotel, Reading. Starting at 10.30am and running through the day, the event will feature hands-on displays of products from the company’s portfolio, including: Russound, Pulse-Eight, Cabasse, Parasound and others. Presentations will include an introduction to the Pulse-Eight neo range of state-of-the-art HD matrix switchers, HDBaseT extenders and HDMI splitters. Martin Ellis, owner and chief designer of Pulse-Eight will conduct a technical presentation on the products, explaining in detail the very clever use of CEC which makes the neo range the easiest to install and use, with no complicated programming required and the only the TV remote control required to select and control the source equipment. Mike Bonnette, The Multi-Room Company’s product director, will present the latest additions to the renowned Russound range, including a suite of new streaming products and controller/amplifiers. There will also be introductions to the Cabasse and Parasound product ranges. During the day The Multi-Room Company will also be making a very exciting and significant business announcement. Pulse-Eight, the UK based manufacturer of state-of-the-art video/audio control and distribution systems, has appointed The Multi-Room Company as exclusive UK distributor for the custom installation channel. This new arrangement provides installers with easy access to the full range of robust and reliable HDMI matrix switchers, splitters, extenders and DACs. Poole based Pulse-Eight develops and manufactures a comprehensive range of HDMI and HDBaseT solutions for the residential and commercial applications. All manufacturing takes place at the company’s Dorset based facility, which permits The Multi-Room Company to offer an unrivalled level of service and back up for the UK custom installation professionals.